Eddie Murphy Net Worth – How Much Money is Eddie Murphy Worth? 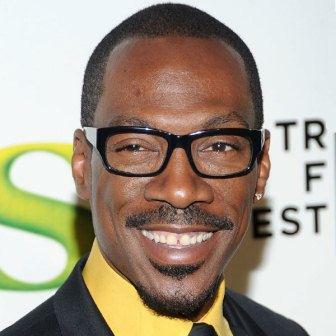 Eddie Murphy is an American actor, comedian and singer. His estimated net worth is $90 million. Eddie Murphy was born in Brooklyn, New York to Lillian and Charles Edward Murphy on April 3, 1961. He ventured into arts at the age of 15, writing and performing his stuff with the influence of Bill Cosby and Richard Pryo. Murphy released two standup comedy specials in the early 80’s that were a massive success; Eddie Murphy and Delirious. They grossed $50 million. Eddie Murphy starred in movies like 48 Hrs, Trading Places, Coming to America, Beverly Hills Cop, Best Defense, The Golden Child, Meet Dave and imagine that. Eddie Murphy also has two music albums to his names called How Could it Be and Love’s Alright with songs such as Put Your Mouth On Me, Party All the Time, Whatzupwitu, I Was a King and Red Light. In the 80’s, the comedian bore two sons with ex-girlfriends Paulette McNeely and Tamara Hood. 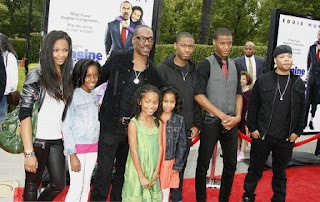 Murphy later married long term girlfriend Nicole Mitchell in 1993 and together they were blessed with five kids; Bria, Myles, Shayne, Zola, and Bella. Due to irreconcilable differences they finalized their divorce in 2006. Murphy dated ex spice girl Melanie Brow after the divorce for a short period in 2006 before she got pregnant. Eddie denied the pregnancy and demanded a DNA test once the child was born. Angel Iris Murphy Brown was born on Eddie’s 46th birthday, he is said to be spending time with her once in a while. Eddie Murphy is currently in a relationship with model Paige Butcher and together they are blessed with a daughter, Izzy. Broadcast Film Critics Association Awards - Best Supporting Actor with Dreamgirls. Golden Globe Awards - Best Supporting Actor with Dreamgirls. National Society of Film Critics Awards – Best actor with The Nutty Professor. To increase his net worth, Eddie Murphy has invested in the stock markets, property and real estate. He also enjoys very lucrative endorsement deals.